Dioramas and Clever Things: Excorcism Technique for Curing Smallpox, Finally! Excorcism Technique for Curing Smallpox, Finally! 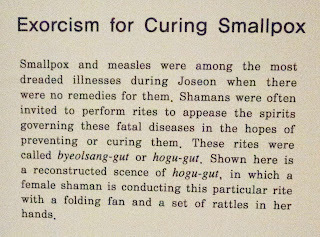 If you're like me,a diorama fan, you've long been asking "where are the dioramas depicting exorcism cures for smallpox?". We are finally satisfied. 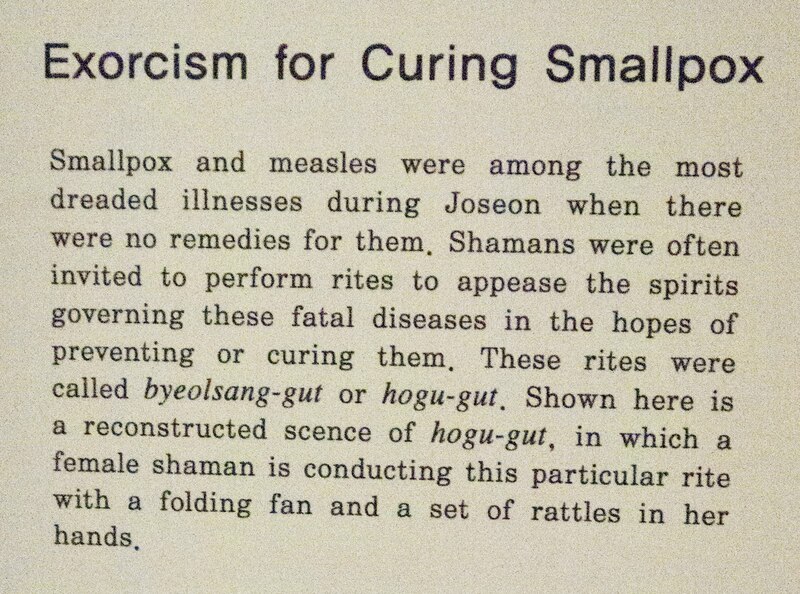 This one depicts an exorcism for curing smallpox during the Joseon Dynasty (1392 - 1910). 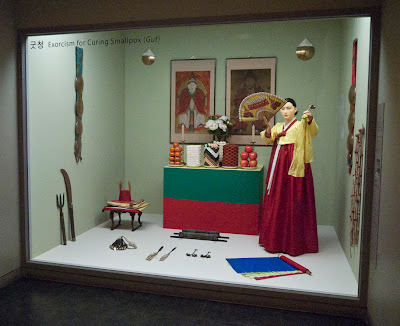 It can be seen at the National Folk Museum of Korea in Seoul. Saw this on Morbid Anatomy.